We are delighted to announce that the Early Years extension at Kensworth Lower School in Bedfordshire has been completed ahead of contract, and in time for the beginning of the autumn term. 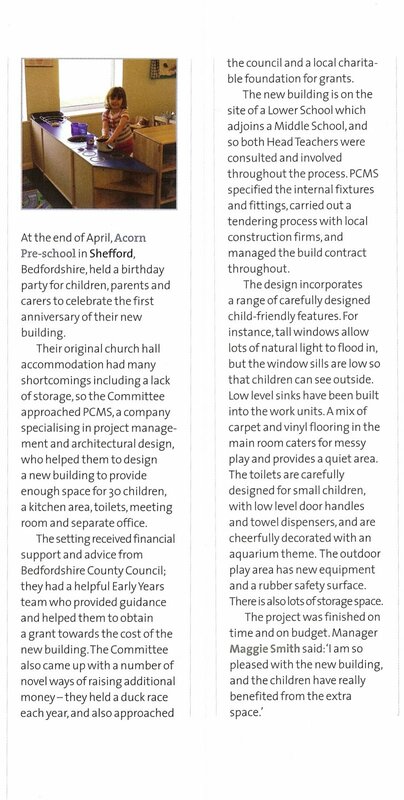 To the delight of the teaching staff, it took just 16 weeks from the date that the contractors moved onto site before handover of the new setting. The pre-school now has provision for up to 20 children between the ages of 2 and 5 years, with some fantastic play and learning facilities. 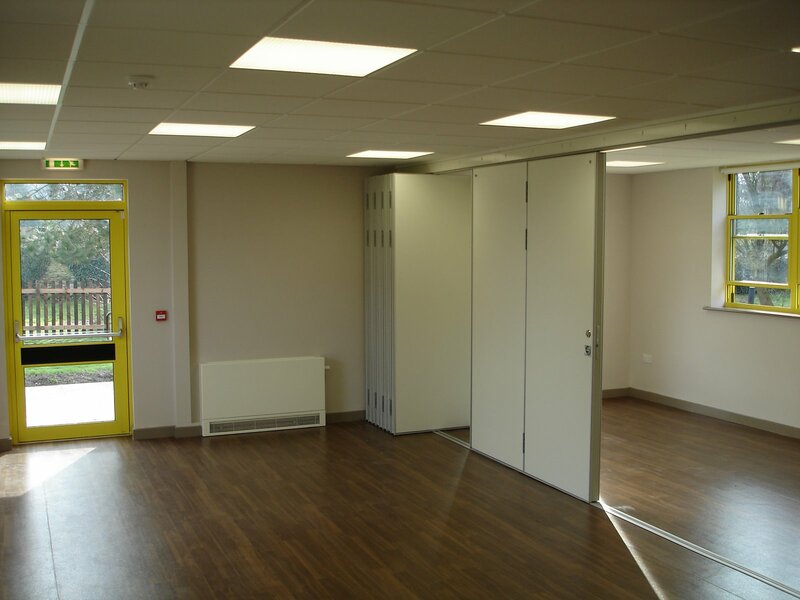 The main area is a flexible space allowing a safe and secure environment for children to play and learn, along with supporting facilities such as a new office and toilets. 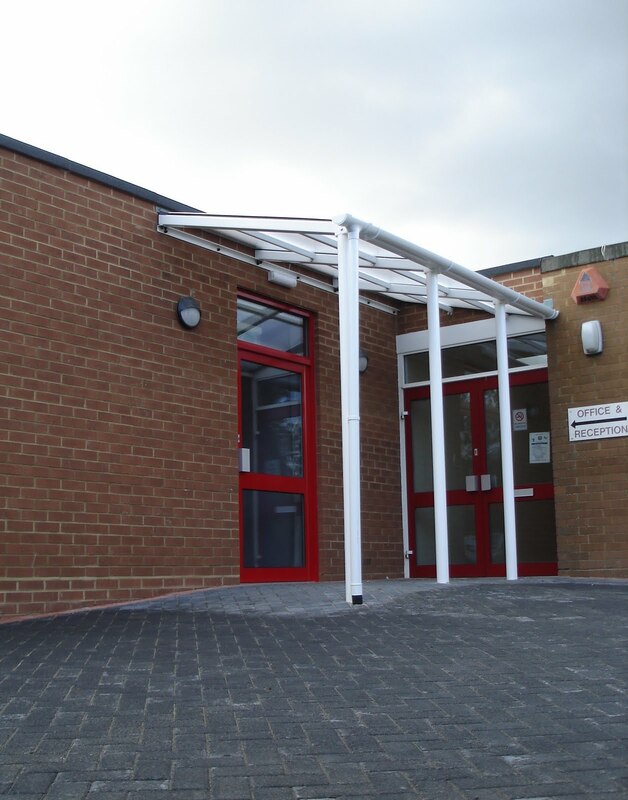 There’s also an external canopy area, and the existing school entrance has been much improved. 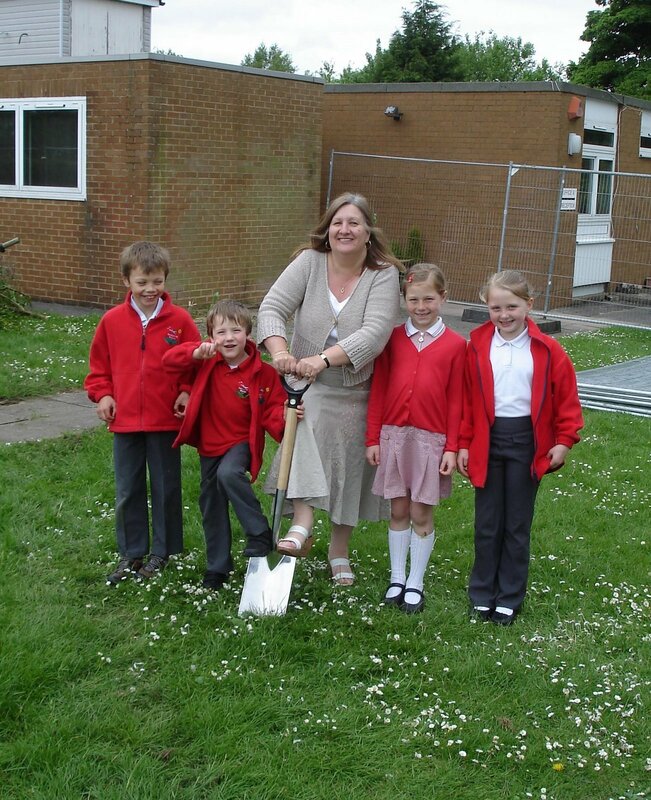 This entry was posted in Bedfordshire, Early Year's, Kensworth, Lower School, School Construction on September 30, 2009 by admin. 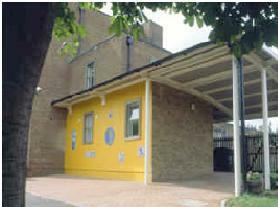 John Watson School, which is based a few miles from Oxford in the village of Wheatley, is a community special school that caters for children with Special Educational Needs from the ages of 2 to 19. It has dedicated facilities for children with a range of disabilities, including some with physical impairment. Members of staff recently approached PCMS to plan and design a quick and cost-effective space reorganisation. They needed a better servery in the dining area; our solution was to design a kitchenette incorporating height-adjustable cabinets, worktop and sink, along with the creation of a new stainless steel serving counter with a roller shutter. Building Control consent has been granted, and the School will be employing a local contractor to complete the works to our design and specification. This entry was posted in Oxfordshire, School Construction on July 21, 2009 by admin.